Welcome to the Promenade at Reflection Lakes! Centrally located in South Fort Myers, The Promenade at Reflection Lakes offers easy access to U.S. 41, Interstate 75, and Southwest Florida International Airport. Plus fine shopping, dining, and entertainment is just minutes away. Our spacious, thoughtfully-designed apartments offer one, two, and three bedroom floor plans. With nine unique floors plans to choose from and interior features including fully equipped kitchen with breakfast bar, central air and heat, in-home washer/dryer, and private screened lanais, you'll be sure to find something for every lifestyle. Select apartments offer private entrance, kitchen pantry, vaulted ceilings, and walk-in shower. We are a pet friendly community!  The Promenade at Reflection Lakes offers many community amenities as well, including a sparkling pool with sun-drenched deck, yoga room, 24/7 fitness center, lakeside walking path, onsite storage units and garages/carports.